Successful purchasing practices can make the difference between a restaurant that gets ahead and looks to expand, and one that consistently struggles to get by. NPC’s Procurement & Spend Analytics enable restaurant chains and institutional organizations to optimize their supply side performance by integrating data and allowing executives, managers and frontline employees to make more informed decisions. These tools provide increased transparency in the procure-to-pay process, comprehensive spend and procurement analysis, supplier performance analysis and supplier payables analysis. 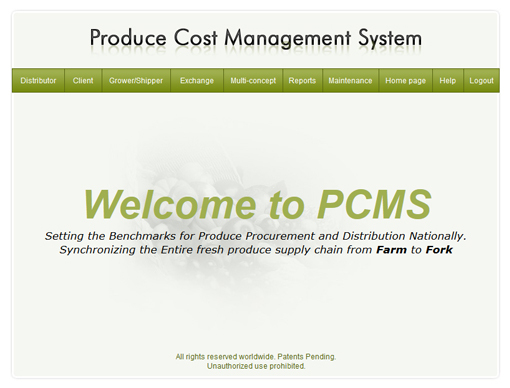 Indeed, as clients become more and more experienced with NPC systems and reports, some are able to begin "in-sourcing" produce procurement. Allocated Freight Rates based on Actual Cases per Load to the penny! Sets the Order Guide Price by Distributor, based on all of the Above!